“Champagne is the most glorious beverage on the planet-at least it is for me,” is the opening line in Ed’s book Champagne for Dummies. 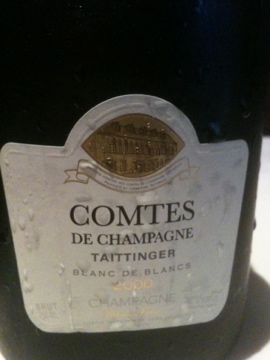 Ed was the speaker at the Wine Media Guild’s annual holiday Champagne tasting and lunch. The only thing Ed likes better than talking about Champagne is drinking it. 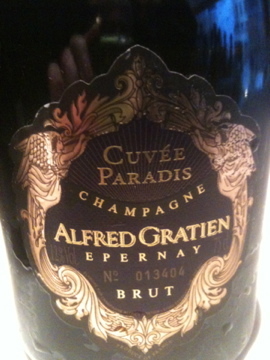 Ed arranged for the members of the WMG and their guests to taste and then drink with lunch an impressive array of Prestige Cuvee Champagne. The Wine Media Guild tasting and lunch always takes place at Felidia Restaurant in NYC. 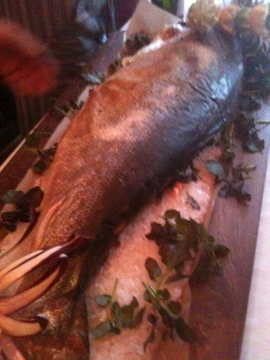 All three courses at lunch featured salmon including ravioli and the main course, a 26-pound salmon, which was quite a sight when it was brought into the dining room. 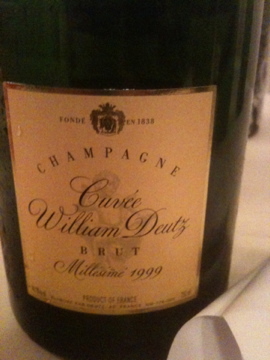 Ed explained that a Prestige Cuvée is the best Champagne produced by the Champagne house. These wines are made from the best and most expensive grapes from the best vineyards, usually from all Grand Cru or a blend of Grand Cru and Premier Cru villages. 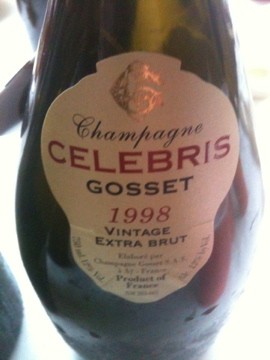 They are aged longer in the producer’s cellar than their other Champagnes. 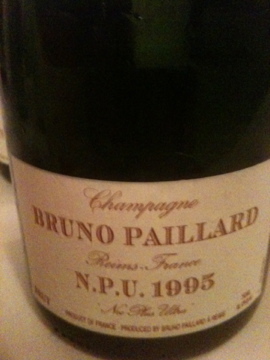 Bruno Paillard Nec-Plus-Ultra (N. P. U.) 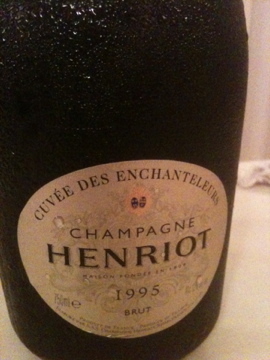 1995 Made from 50% Chardonnay and 50% Pinot Noir. 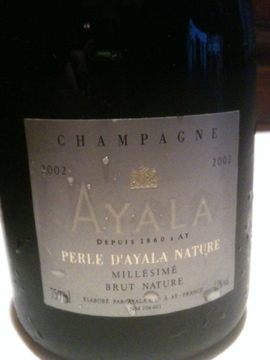 It is only made in great vintages and the grapes come from 5 Grand Cru villages. Ed said they only use the first pressing. The wine is fermented in small oak barrels and then rests in these barrels for 9 months. The wine remains on the lees for at least ten years. 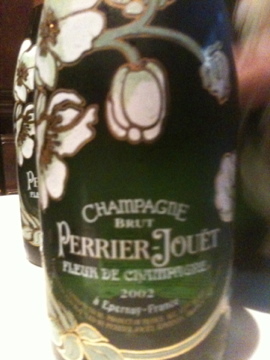 On the back label there is the disgorgement date so you know when the wine left the winery. The dosage is reduced to a minimum. 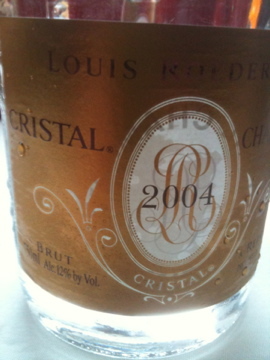 The wine had flavors and aromas of ginger, honey orange blossom and a hint of brioche on the palate. This was the most expensive wine at the tasting. Last year Ed was the speaker for a tasting and lunch for a group called the NY Wine Press. I attended as a guest. I must like this wine because it was my favorite at that tasting also.